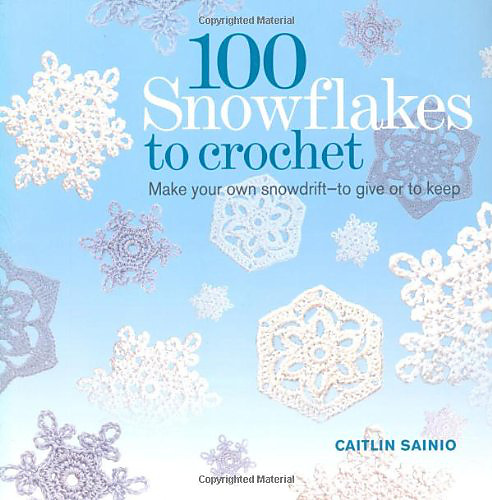 These pretty crocheted snowflake crafts are perfect for the cold winter months. Make a handful to display in shadow boxes on your wall, string up as garland or adorn a front door wreath. This is Snowflake #41 in the book of 100 Snowflakes. Instructions are on Page 66. Pictured on page 29 in Showcase. 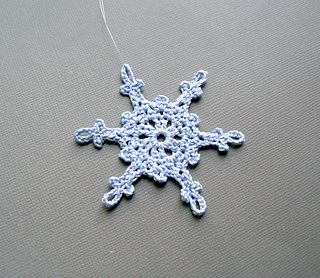 Can also be made with worsted weight yarn and a G hook for a larger, equally lovely, snowflake. Pattern links on this page may not be accessible on mobile devices. Links work fine on regular computer.